Click the railway heralds above to learn more about these model railroads. 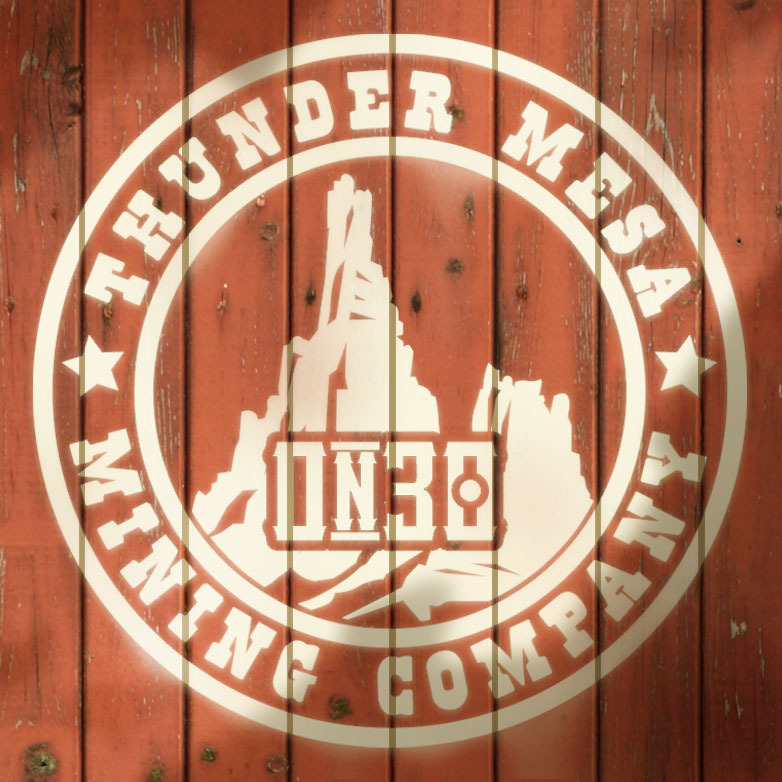 Thunder Mesa Studio is home to five model railroads currently under construction: the On30 scale Thunder Mesa Mining Company, the On18 Horse Thief & Never Mine, the 3/8n20 Bandit Canyon Ry., the HO scale Carolwood & Grizzly Flats R.R., and the HOn30 Skull Rock & Neverland Ry. The Thunder Mesa Mining Company model railroad's theme is late 19th century mining and railway operations somewhere in the American southwest. Built at a scale of 1/4" to the foot, it is O scale, but the trains are narrow gauge, running on rails just 30 scale inches apart. The layout represents a fanciful depiction of life on the frontier, drawing much inspiration from Disney, Knott's, and the mid-century heyday of movie and television westerns. The On18 Horse Thief & Never Mine Ry. is an 18" gauge mining tram owned and opperated by the Big Thunder Mining Co. It runs on two separate lines above and below the On30 TMMC mainline, moving ore from the mines at Big Thunder and Calico. The high line is an automated point to point operation between Never Mine Tunnel and the ore bins at Horse Thief Canyon, while the Calico Canyon Unit is an independent loop of track running through the mines below Calico Mountain. The Bandit Canyon Ry. is an adventure in 1:32 scale modeling, using HO gauge track and On30 chassis and mechanisms as a starting point for a 3/8n20 mining railway. That is, a 20" gauge tram at 3/8" to the foot. The BCRy is being designed and built as a portable layout so that it can travel to train shows and bring along little Thunder Mesa magic. 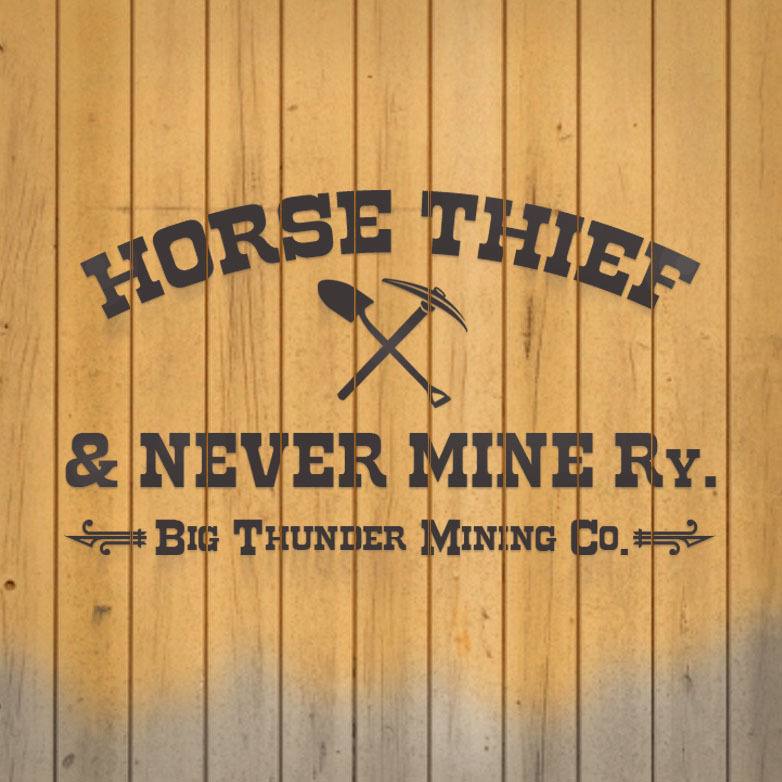 Like the Thunder Mesa Mining Co., the BCRy is themed to the canyon country of Arizona and Utah, but with an emphasis on the legendary outlaws that haunted this country like Butch Cassidy and his Hole in the Wall gang. 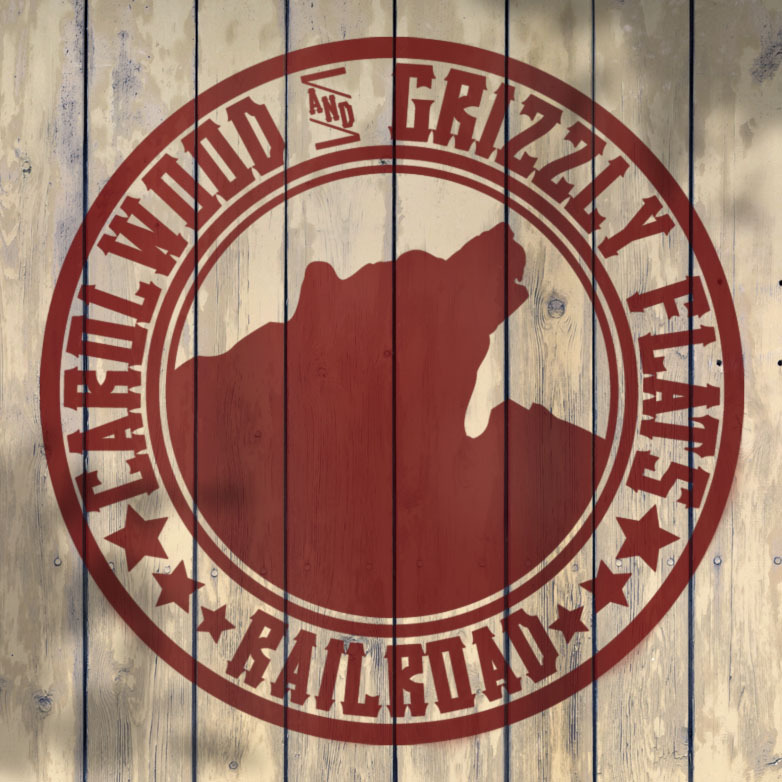 The Carolwood & Grizzly Flats Railroad is a new addition to the studio. 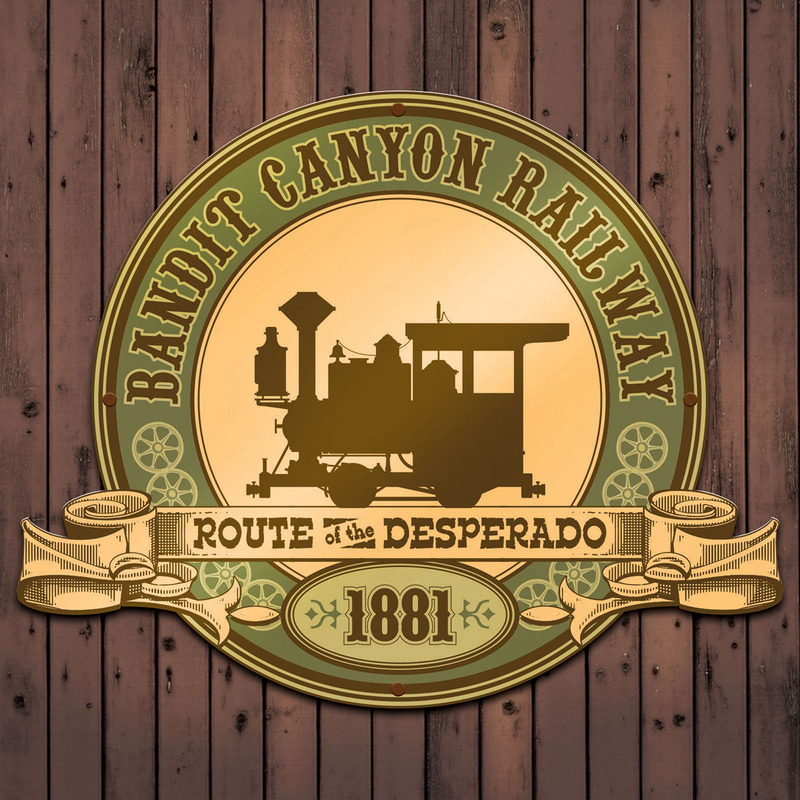 Themed to California's High Sierra and gold country, it's a tribute to the backyard railroads of animation and themed entertainment pioneers Walt Disney and Ward Kimball, while also drawing inspiration from the early days of western mountain railroading on the Central Pacific, Virginia & Truckee, and Sierra Railroads. At 1:87, HO scale is almost half the size of O scale and this small layout is being built in a just little over 18 square feet. 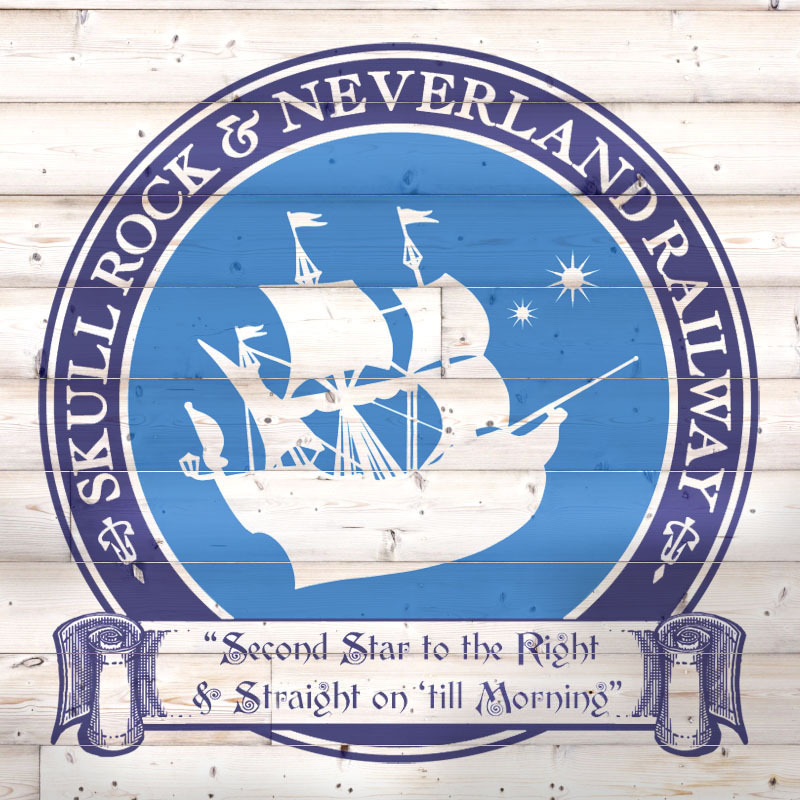 The Skull Rock & Neverland Railway is a fanciful HOn30 display that is currently in the planning stages. HOn30 is 1:87 scale HO trains running on 9mm N gauge track, a combination that simulates 30" narrow gauge in this popular scale. This layout will have a decidedly British feel while drawing inspiration from the adventures of Peter Pan, the Lost Boys, and the notorious Captain Hook.